Did God Give Us President Trump? Home|Did God Give Us President Trump? Using God and President Trump as metaphors for the mindset that permeates our American culture, I will argue for the necessity of a change of our culture’s underlying world view. We have lived too long under the tyranny of fanciful, transcendent ideas controlling our culture. A Humanist perspective, especially an Ethical Humanist one, can take purpose and meaning out of the stars and put them into human hands. As we confront the social evils of our times – racism, sexism, homophobia and economic exploitation among others, Ethical Societies should proudly declare our role as teachers of a better philosophic understanding of the meaning of human living. 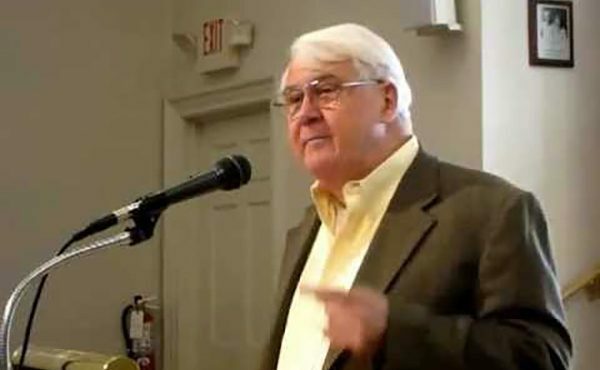 Richard Kiniry served as Leader of the Philadelphia Ethical Society from 1990-2010. Does Character Count in Politics?